The Sells Total Contact Aqua Rain Overall is a perfect piece of goalkeeper training equipment. The overall can be used in all training sessions, but it particularly useful in wet and cold weather. 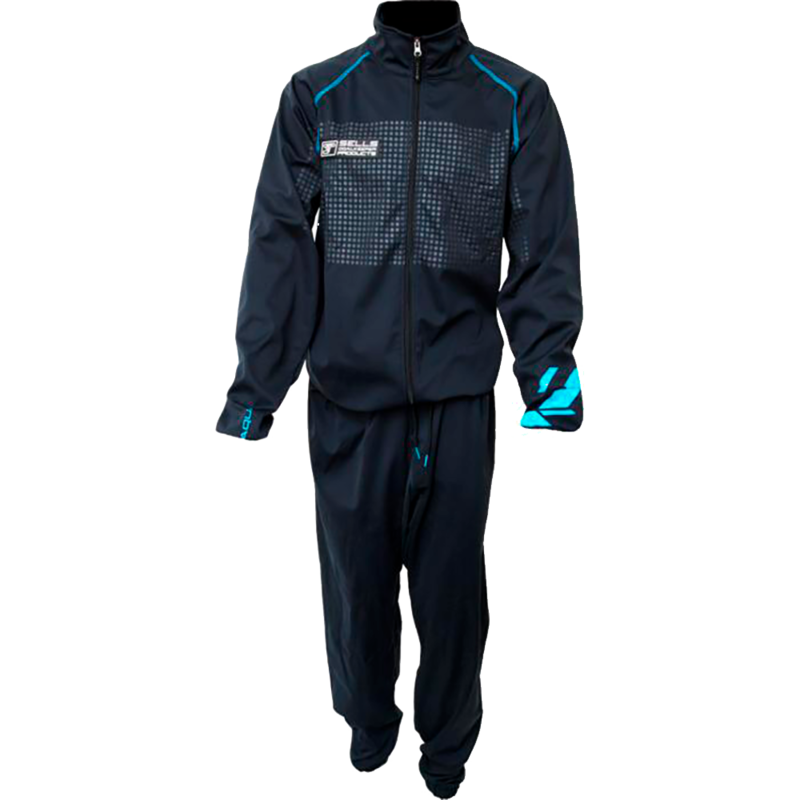 The one piece design keeps rain, mud and grass out whilst keep the goalkeeper warm and dry. Elasticated cuffs, waist and leg bottoms ensure the overall stays in place. The specially selected 3 Layer Bonded fabric provides a waterproof shell with breathable inner. The super light weight design does not restrict your movement in goal. The ACZ™ panel on the chest aids securing the ball in slippery conditions. The material is waterproof and windproof making it ideal for use in cold wet weather. There is no padding in this goalkeeper overall. This item is ideal for protection from turf burns etc... that is associated with playing on artificial surfaces. The lightweight material allows you to slide along the turf abrasion free. Elasticated sleeve and leg cuffs ensure the arms and legs of the garment stay in place when diving and catching high balls. The waist band is also elasticated to secure the positioning of the garment on your upper and lower body. A sturdy zipper makes getting the overall on and off a breeze. Great quality product. Got it at discounted cost of only $40 and looks and feels like it should be 5x that. Really nice for training to keep warm and dry. Highly recommend.